Welcome to Complete Reflexology. 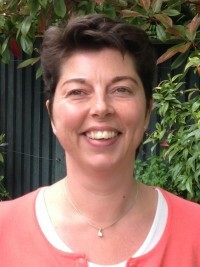 I'm Claire Freedman and in a calm, relaxing environment I deliver reflexology treatments adapted to meet the individual needs of my clients. I am based in Tunbridge Wells, Kent, TN4. Life for many is a daily balancing act; juggling home and work pressures that can lead to stress and poor sleep patterns leaving you feeling generally out of sorts. By working the various reflex points on the feet &/or face reflexology can help to bring about a deep sense of relaxation and calm which can improve sleep patterns and return a sense of well-being and balance to you. In turn this can help to stimulate the body’s own healing mechanism making it more efficient when dealing with everyday stresses and strains. I offer Foot Reflexology, Facial Reflexology (Bergman method) and Head, Neck and Shoulder massage. All treatments are available as standalone treatments or as a combination to help clients reach their goals and maximise the benefit to the individual. Anxiety, Cancer, Depression, Fertility Issues, Headaches, IBS, Insomnia, Labyrinthitis, Menopause related symptoms, Migraines, Muscular Tension, Parkinsons Disease, PMS, Pregnancy, Restless Leg Syndrome, Sinusitis, Stress & Tinnitus. I am a full member of the Association of Reflexologists (AoR) and I am fully insured to practise reflexology. For further information or to discuss how we may work together to bring about optimal results, please send me an email: claire@completereflexology.com.